prep the mushrooms – clean off the dirt and slice. prep the steak – sprinkle with salt, pepper, and thyme. place nonstick skillet over high heat. add olive oil to the pan. just when the oil begins to smoke, add the steak and brown on both sides (about 2 minutes on each side). remove the steak from the pan to rest (cover with tin foil). turn heat down to medium high, add a touch more oil to the pan, add mushrooms, and garlic and sautee. when mushrooms are brown turn the heat back up to high for 1 minute then turn off and add marsala wine to the pan. return the pan to the heat and simmer to reduce. 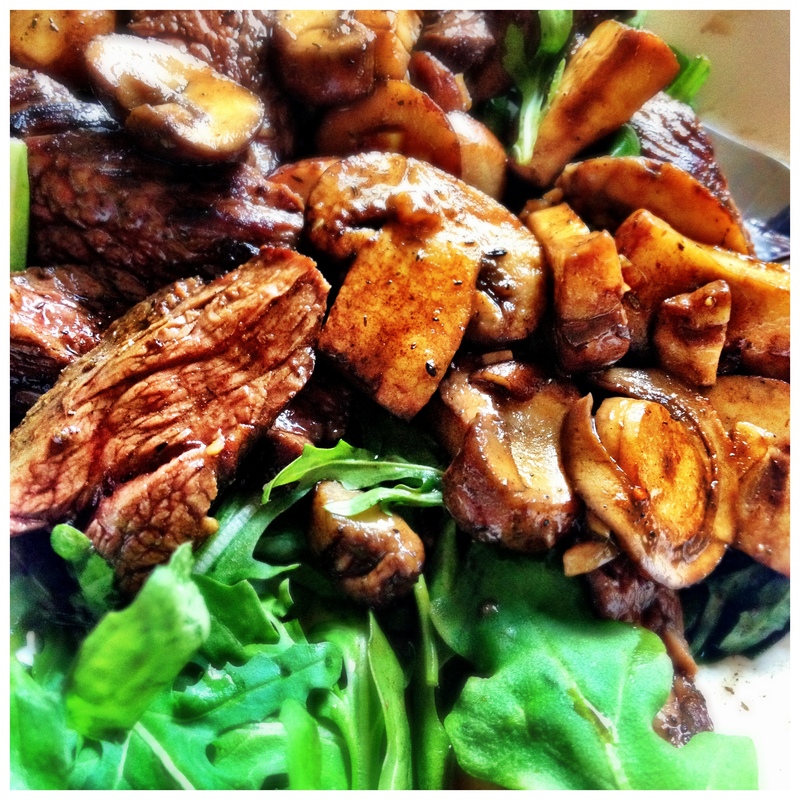 slice the steak and add it back to the pan to finish cooking with the mushrooms. serve over a bed of fresh baby arugula. enjoy! 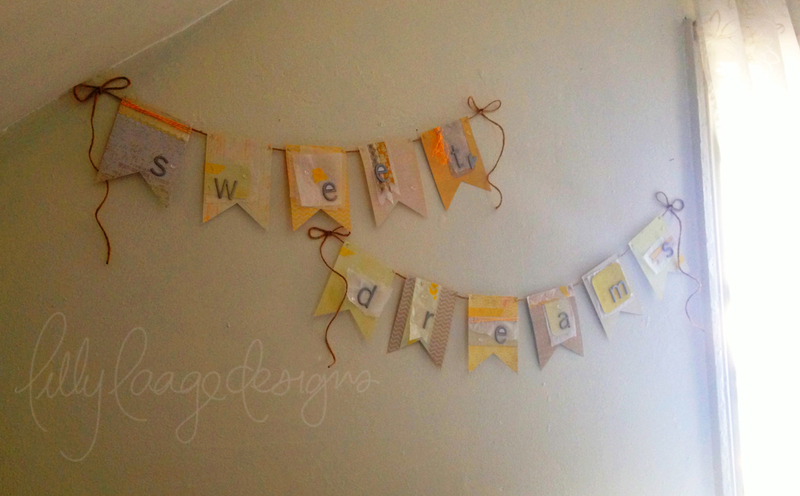 i’ve been wanting a banner above my bed for quite a while now. 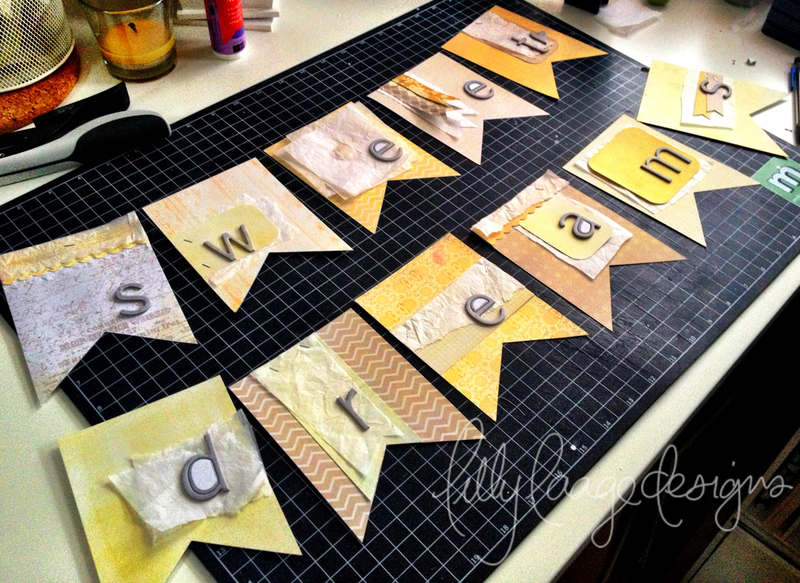 banners are really in right now, fun, and simple to make. i also don’t have a headboard above my bed so it would fill the space nicely. one reason it took over a year to get around to it, was i was unsure what i wanted the banner to say. i suppose i could have left it blank, but no. so anyways, i finally got around to it! 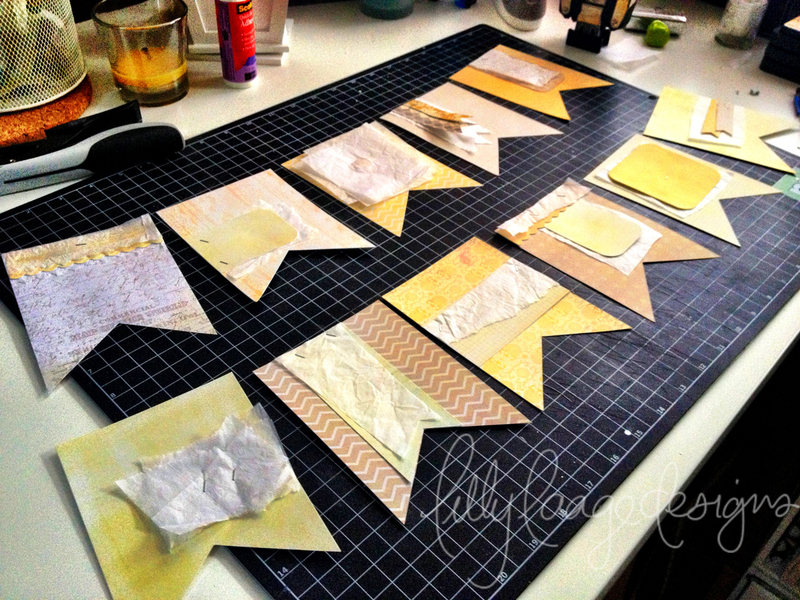 i picked out neutral tans and pale yellows from my stash, and focused on keeping that color palate throughout. 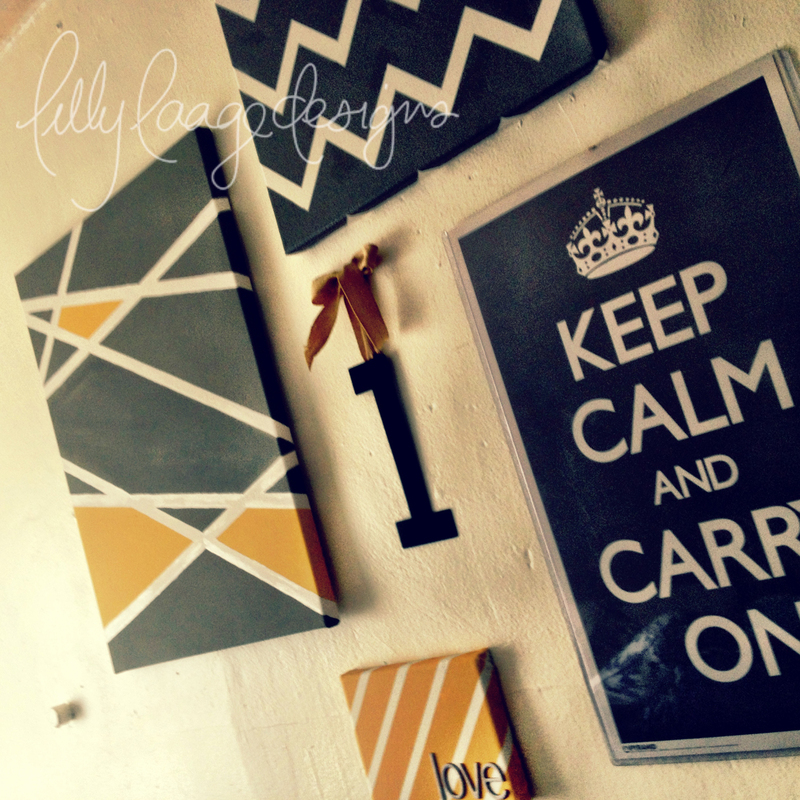 it also works with the canvases from the previous post. 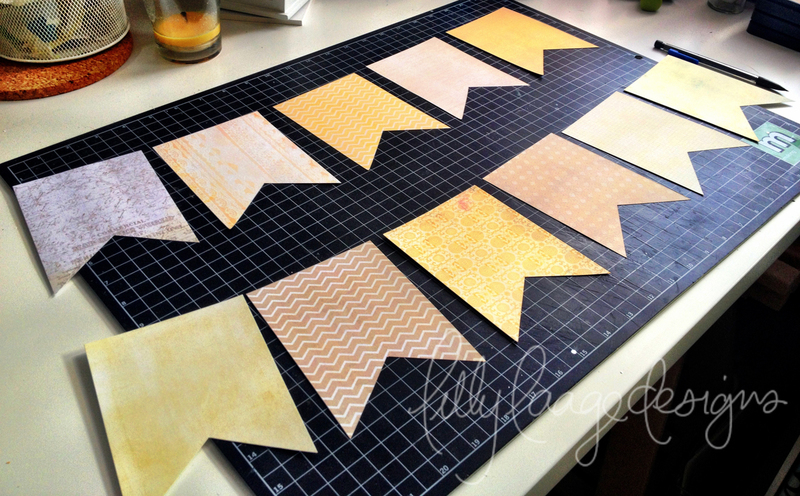 i cut them to 4.5 x 6″ and cut 2″ up the center of the bottom to create the pennant shape. i laid them out on my desk to make sure the patterns didn’t repeat too close to each other and to start adding the backgrounds. 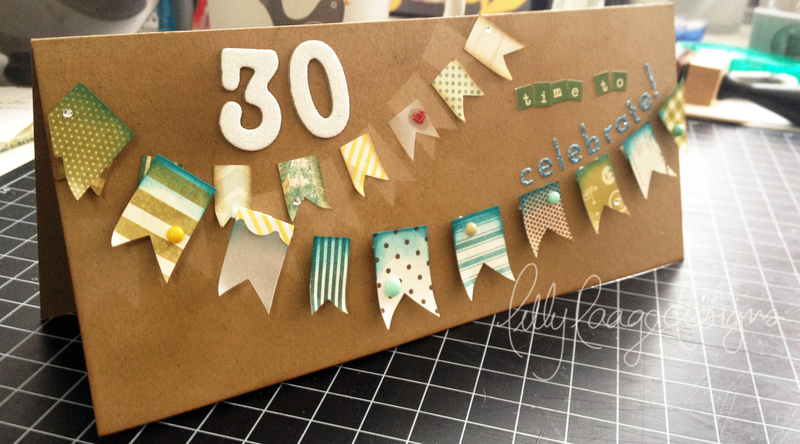 i played around with the scraps from the papers as well as some washi tape and tissue paper. 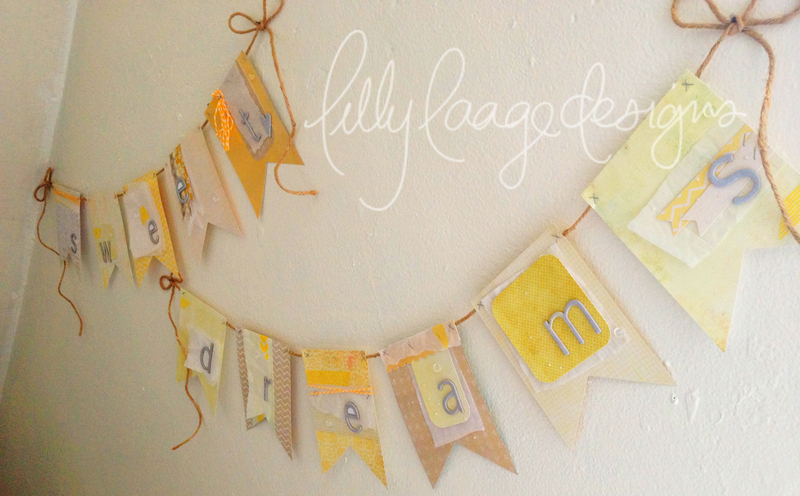 i used jute twine to hang the banner. i think it came out so cute! 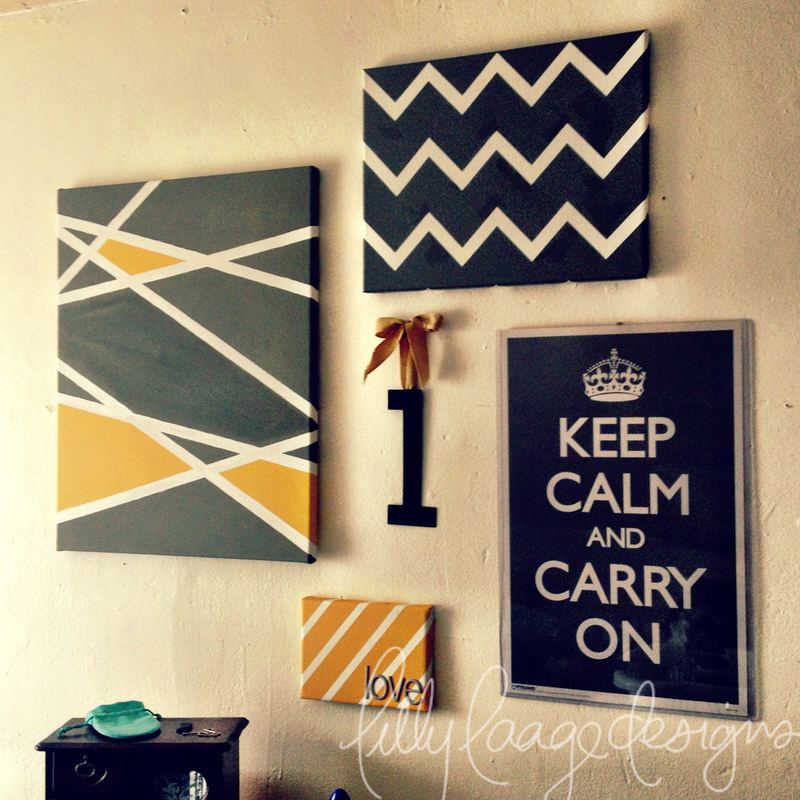 i was, as i so often am, poking around on pinterest and found a great abstract painting. so i made my own. and then a second one. and then a third. first i drew a grid on the cavas, then diagonal lines. 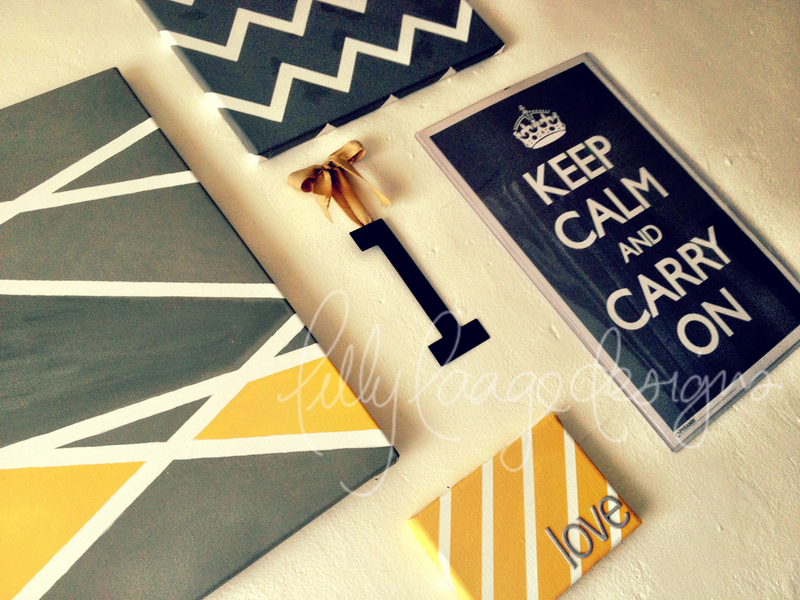 then i used washi tape to tape off the chevron. 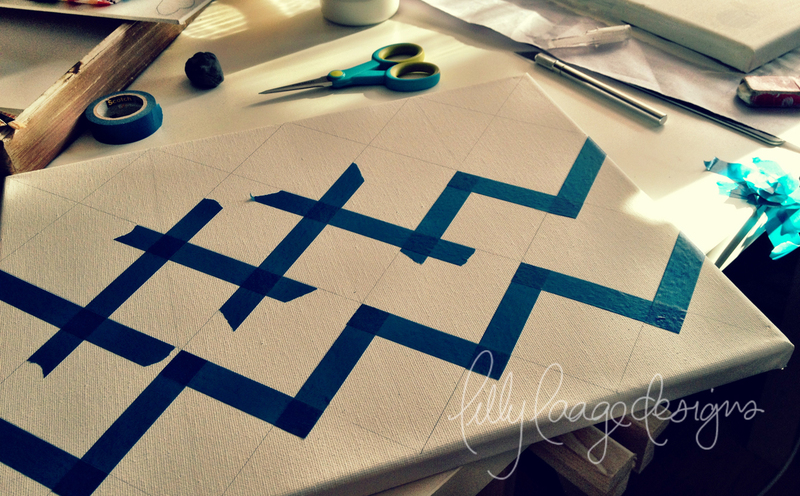 i crossed each piece of tape following the lines and then lifted up the spot where they met to trim the excess thus forming the chevron. 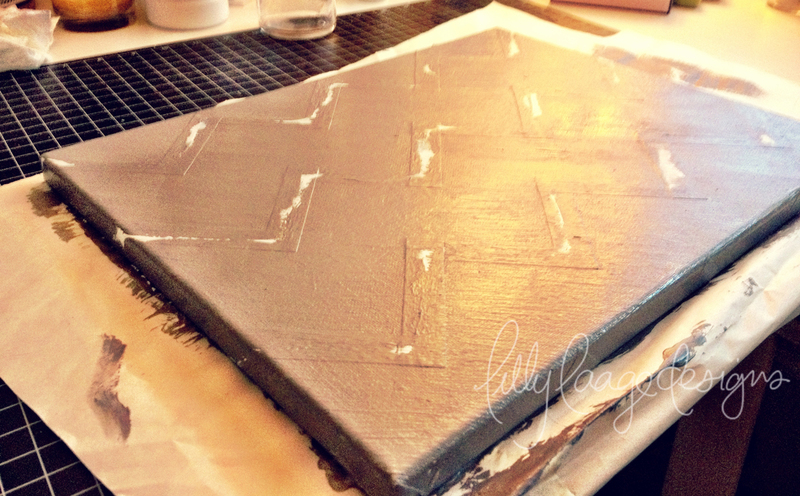 then, i just covered it in gesso and then paint like before. a little time consuming, but it came out awesome! 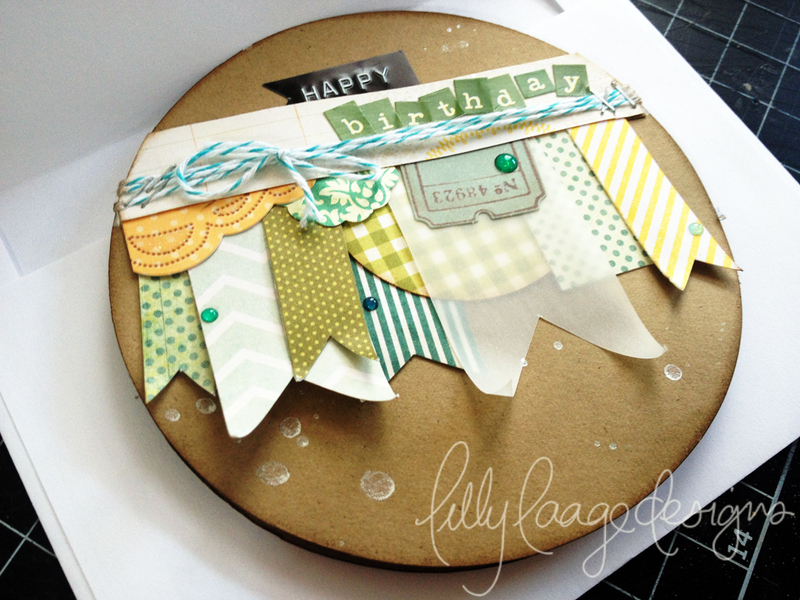 for the first card, i used a lot of distress inks. 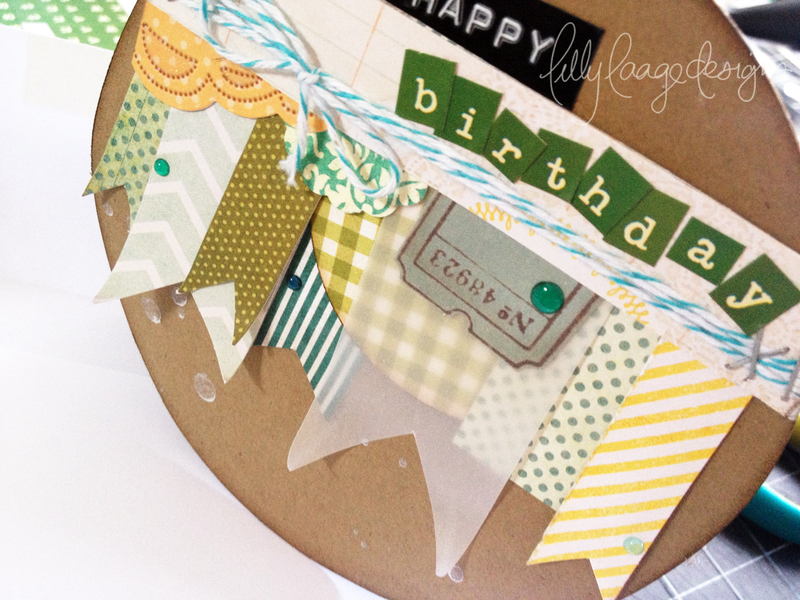 for the background, i used banners made from post-it notes to create a mask, then i used distress ink around the masks to add some dimension to the card. 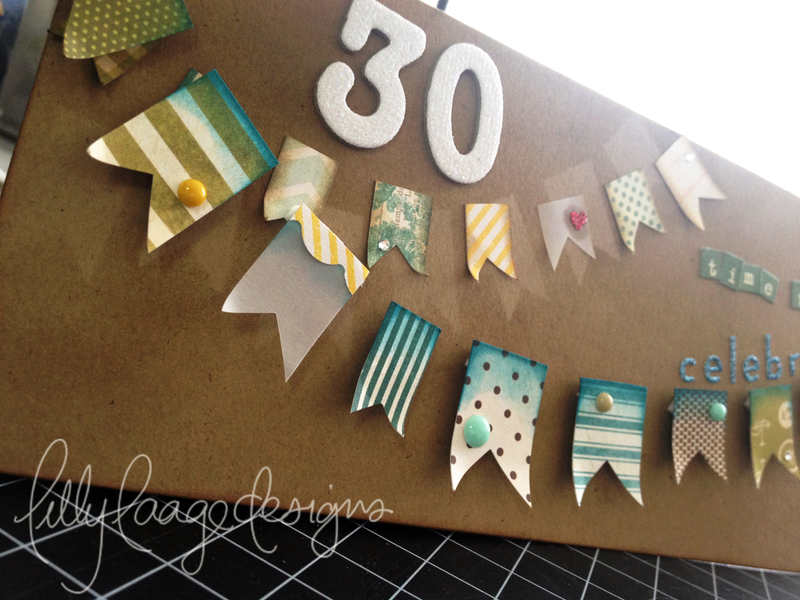 i used many different papers to create the actual banners, and opted out of using a string (real or drawn) to connect the banners, choosing to focus on the paper. the second card here has a much more layered look, with different sized banner pieces and some different shapes thrown in for interest. 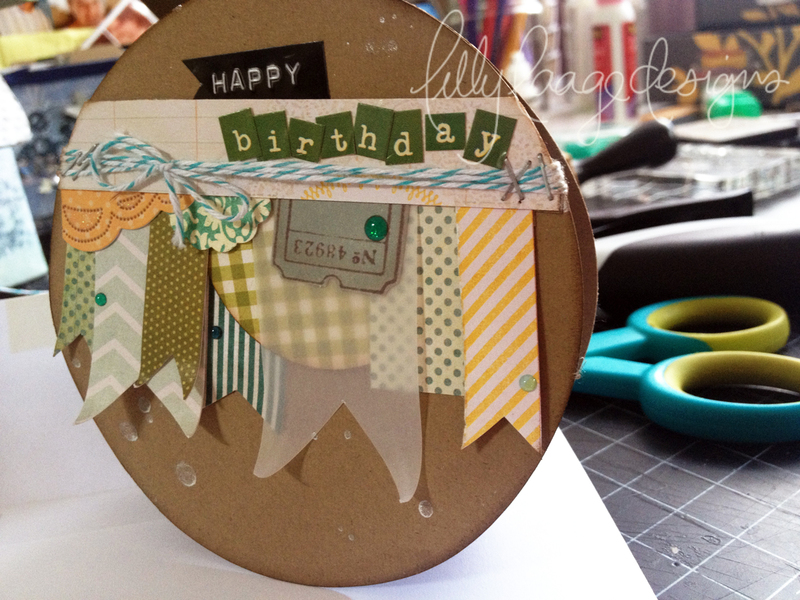 to create the circle card, i simply cut 2 circles at 4 1/4″ diameter using a circle cutter, scored the bottom piece at 1/2″ creating the fold, and glued them together. both cards were equally fun to make, though very different. hope you like them! 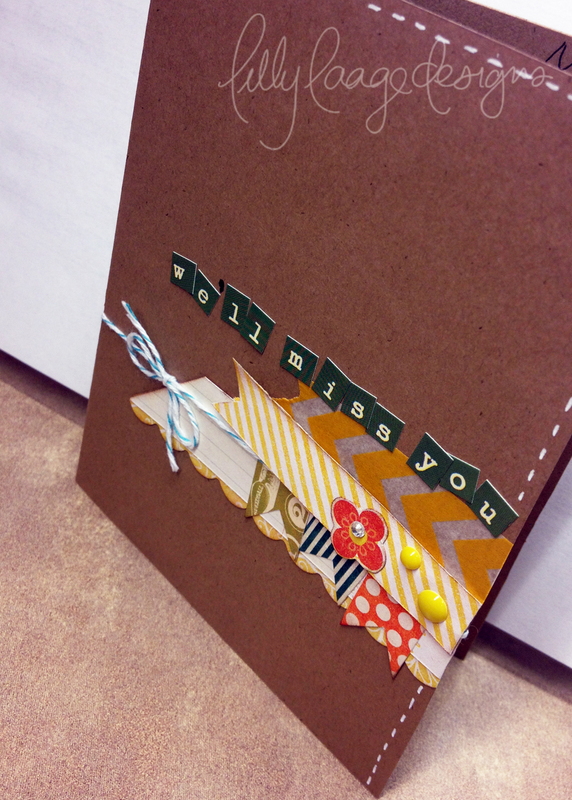 this time of year, congratulations cards are mostly focused around graduations. 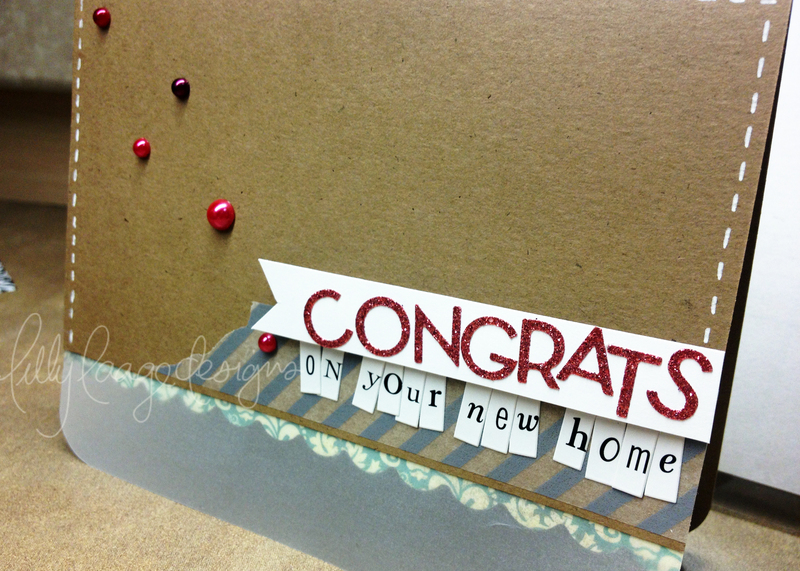 however, a friend of mine recently bought a new home, so here is her congrats card. it’s always hard to say goodbye to friends who are moving away. cards help! 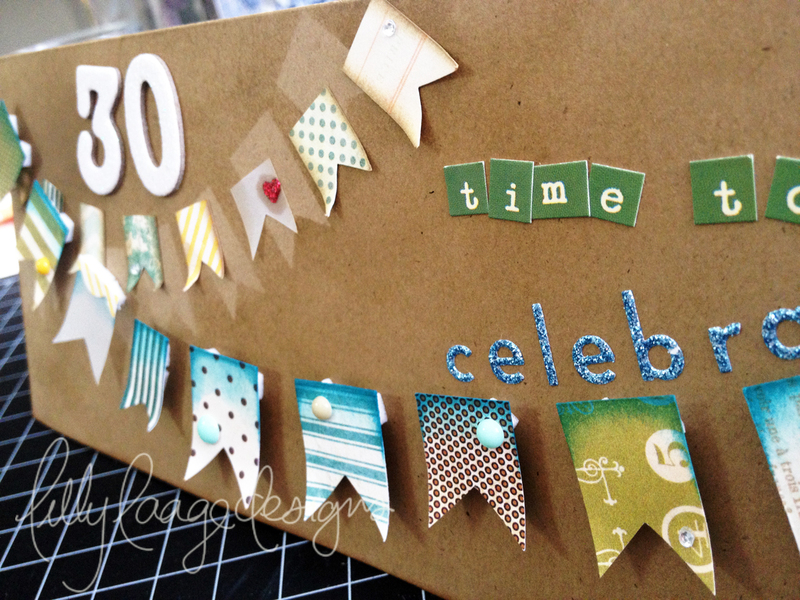 banners are a really popular embellishment item in paper-crafting right now. needless to say, i’ve been using them quite a lot! here you'll find a wide variety of posts. from craft projects to how-to tutorials, recipes and posts about my puggle, santi, and of course a few random posts here and there! i hope that you'll stop by and stay a while, kick off your shoes and sip on a warm cup of tea while you poke around and get inspired! 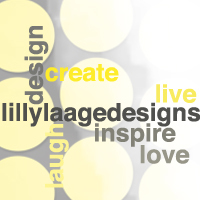 remember to check back periodically for updates, or subscribe to get updates via email! 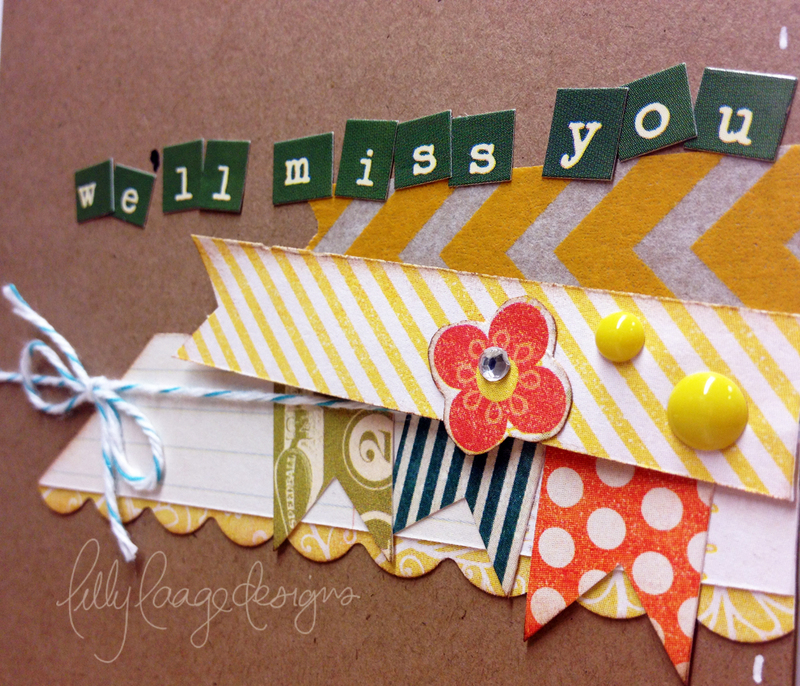 thanks for stopping by and i hope you have a wonderful day! there are no giveaways at this current time, please check back later.